Motivation sets you in motion, habit takes you a step forward. You can keep fit even when you are on holiday: our large fitness room offers the proper sports equipment to run, step, lift, pull, push and stretch. You can do all this high above the lake Turracher See while enjoying an amazing view of the mountains. 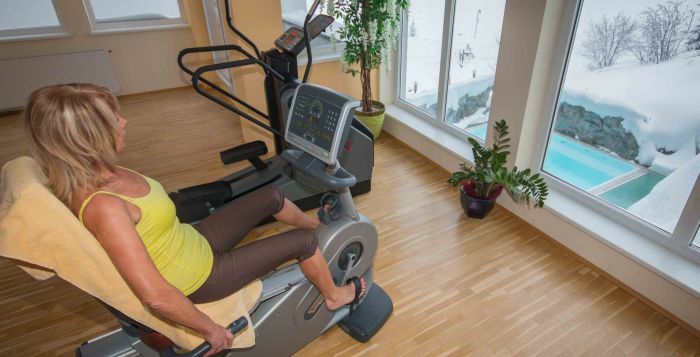 The exercise machines of Kinesis® offer an incredible range of movements.